Here is a list of the most frequently asked questions and related answers. The door locks market is a vast one. It is estimated that only in Polish stores and construction warehouses, you can find several thousand different models. 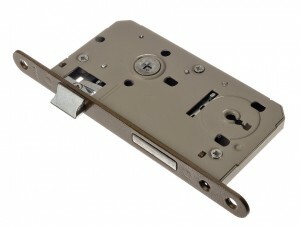 We produce locks suitable for wooden, aluminium, steel and PVC frames. Before you decide which one to buy, it is worth reading more about the essential details of each type of fitting. This is the idea behind this practical tips section. This section will also answer some of the most frequently asked questions. 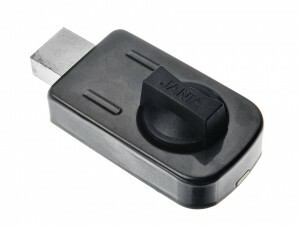 Where can I buy Jania products? Our products are available from all large retail chains, wholesale companies and DYI shops across the country. Locks fitted inside special openings previously cut-out in the door. 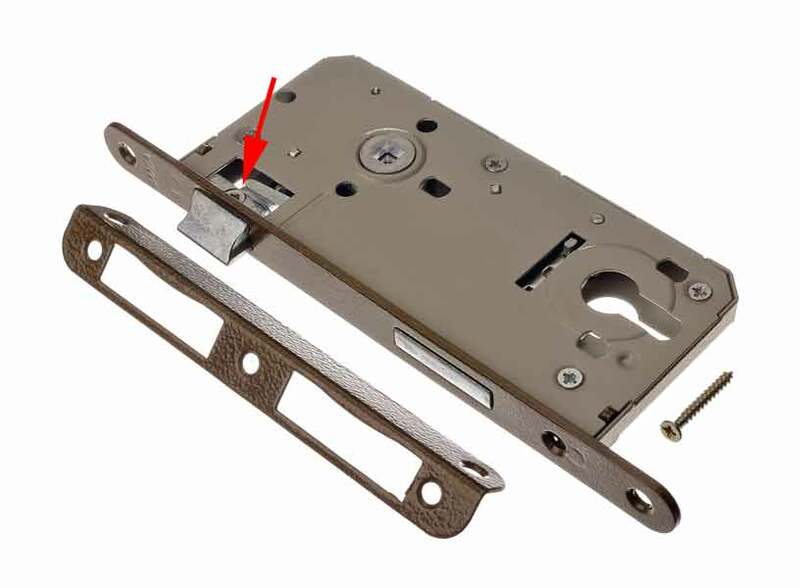 After the lock is locked, the bolt and latch enter the box keep/strike plate installed in the doorframe. Locks mounted on the surface of the door. Our surface-mounted locks can be opened/locked with a key from the outside, while on the inside of the door, they are equipped with a knob. 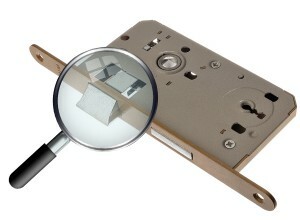 The bolt most often enters the box keep/strike plate installed in the doorframe. Before you buy a lock, make sure you know the direction of opening/closing the door that is to be fitted with the lock. 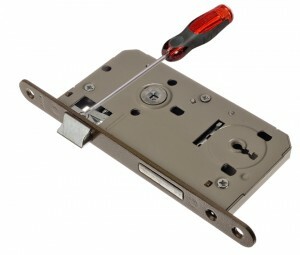 Some of our locks enable you to change the direction of the latch. To do this, you need to remove the screw fastening the latch to the lock mechanism (1), take out the latch (2), change the direction the latch faces and then replace the previously removed fastening screw (3). Remember to replace the screw fastening it tightly in place! Key locks are opened and locked with a key that is sold together with the lock. 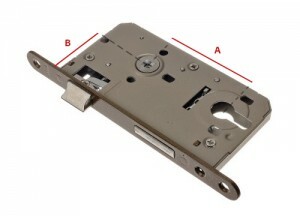 A eurocylinder must be bought in addition to the lock and later fitted into the lock using a single screw. Locks most often used in bathrooms and toilets. They are opened and closed using knobs fitted in the escutcheon. The basic dimension used for locks fitted below the door handle (which have a bolt as well as a latch moved by the door handle) consists of two numbers – e.g. 72/50. The first number is the distance (A) from the axis of the opening for the handle to the axis of the hole for the key, eurocylinder or WC knob, whereas the other number represents the distance (B) from the lock front to the axis of the hole for the handle, key, eurocylinder or WC knob. In each lock fitted below the door handle, the latch is opened using the door handle, but most of our locks also offer the possibility to open the latch by means of turning the key to the “open plus” position (when the bolt is retracted – we can turn the key a little further to open the latch). Notice! Brushed nickel, brushed galvanised steel, golden varnish and yellow galvanised steel are only available upon request. When you choose the right lock for your door, you should also select the strike plate that will fit the doorframe. In the Fittings section, you will find many types of strike plates – choose the right one for your doorframe.